.15 cc Plastic Scoop - for "Just a Pinch", 3 1/4" long, black. 2 ml Clear Plastic Spray Vial - 3 piece set....refillable. All pieces snap together. QUANTITIES ARE LIMITED...ONCE THEY'RE GONE, THEY'RE GONE. 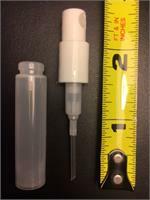 2 ml Clear Plastic Spray Vial - 2 piece set, NOT refillable (unless you're really strong and can pry off the top). Both pieces snap together. QUANTITIES ARE LIMITED...ONCE THEY'RE GONE, THEY'RE GONE. This one has no over cap. 02.5 cc (Approx. 1/2 teaspoon) Natural Plastic Scoop - 4.5" total length X 11/16" deep (as pictured on the left). 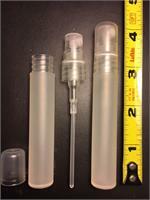 4 ml Clear Plastic Spray Vial - 3 piece set....refillable. QUANTITIES ARE LIMITED...ONCE THEY'RE GONE, THEY'RE GONE. 8 ml Frosted Plastic Spray Vial - 3 piece set....refillable. QUANTITIES ARE LIMITED...ONCE THEY'RE GONE, THEY'RE GONE. Orange Brandy Flavor - Sweet almond oil, artificial flavor. Kosher Certified and GLUTEN FREE. Caramel Apple Fragrance Oil is made from essential oils and/or man-made fragrances. 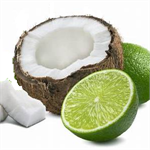 Coconut Lime Verbena Fragrance Oil is made from essential oils and/or man-made fragrances. 20 mm White, Printed Heat Shrink Bands "Sealed for your Protection". Pink Jasmine Fragrance Oil is made from essential oils and/or man-made fragrances. 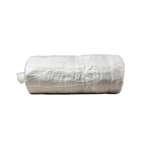 MCT Oil is also known as fractionated, odorless, coconut oil. The color may range from a very clear to very slightly, pale yellow liquid. Medium Chain Triglycerides. Naturally colored pectin shells, approximately 2" each. Nice to use as bath salt scoops, wind chimes, or crafting. 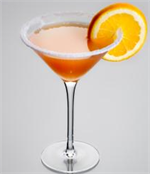 Strawberry Lemonade Fragrance Oil is made from essential oils and/or man-made fragrances. Wisteria Fragrance Oil is made from essential oils and/or man-made fragrances.